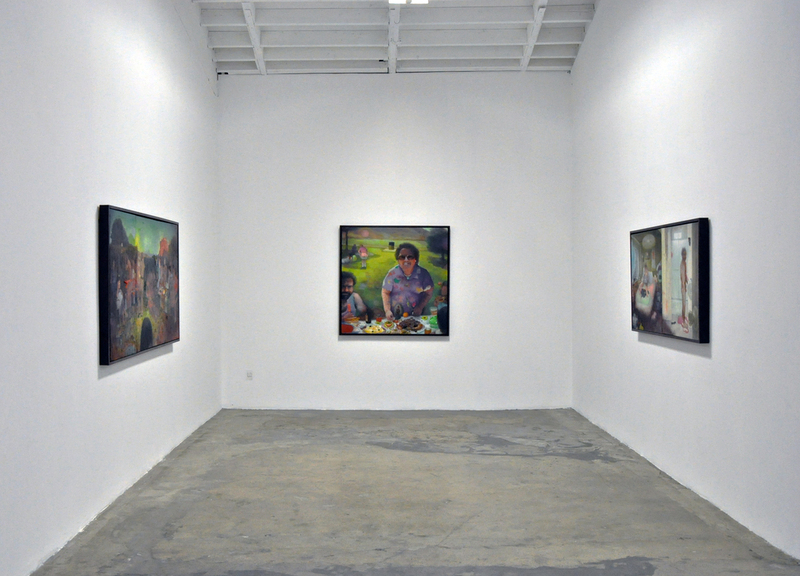 Museum as Retail Space (MaRS) is pleased to present Sorealism, a solo exhibition by artist Michael Alvarez. A native Angeleno, Alvarez grew up in North East Los Angeles, and his subjects are typically from the milieu of the city's street community, civic spaces, and domestic life. Alvarez depicts in a sharp vérité style characters and social scenes from his life as sprawling and ornamented memories. The representational virtuosity Alvarez articulates his work by underlines a need for direct experience, both in process and societally. The regionalism of Alvarez's work is brought into contrast by his references to social media, cell phones, and photographic artifacts - facets of our age of global electracy. As time and space are collapsing through digital life, and cultural reference becomes part of a general Internet vernacular, community roots suddenly become profound and inalienable. MICHAEL ALVAREZ (b. 1983, Los Angeles) is a graduate of the Art Center College of Design in Pasadena, CA. He lives and works in Los Angeles. Alvarez is a figurative painter with a fascination for human interactions, experiences and history. 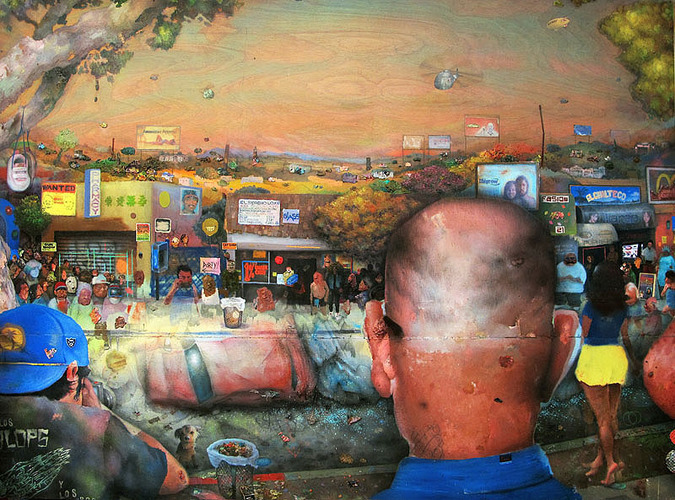 His paintings pull from his collection of visual artifacts, stories and his own daily experiences and observations. The artist describes the subject matter of his work as simultaneously dysfunctional and celebratory. 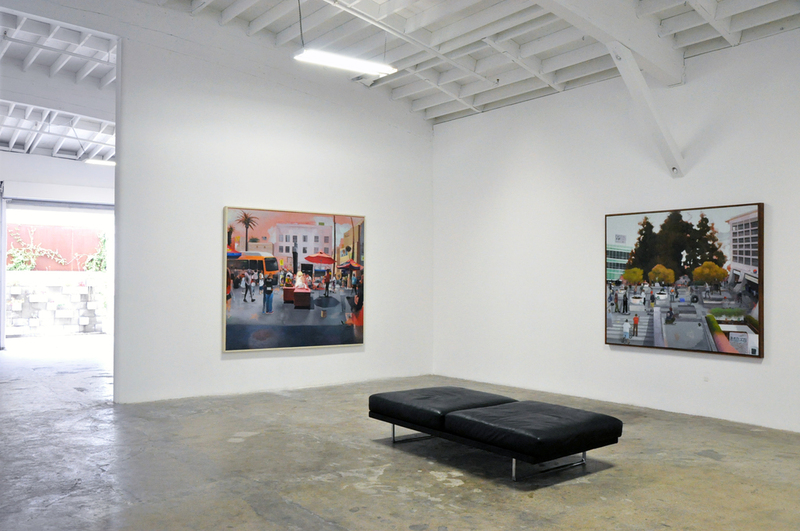 Alvarez’ use of technical details and distortion add nuance to the content of his paintings. Alvarez’ work has been shown at Joshua Liner Gallery, NYC; Cal State Northridge, CA; Cerritos College, Ca; Longmont Museum and Cultural Center, CO; Pasadena Museum of California Art, CA; Vermillion Gallery Seattle, WA, as well as Juxtapoz Magazine.